The U.S. Citizenship and Immigration Services (“USCIS”) has announced that it completed data entry for all Fiscal Year 2019 H-1B cap-subject petitions selected in the lottery and now will begin returning all H-1B cap-subject petitions that were not selected in the lottery. As reported earlier, employers filing cap-subject petitions had a roughly 44.71% chance of having been selected in the lottery (85,000 visas / 190,098 H-1B cap-subject petitions). Cap-subject petitions will receive an official notice of selection or non-selection in the lottery, as applicable. Due to the high volume of filings, USCIS cannot provide a definite time frame for delivery of non-selection notices and return of such petitions, but we anticipate them being returned in the next several weeks. For those individuals who were fortunate enough to be selected in the lottery, now is a good time to review any potential international travel. Specifically, it is necessary to assess the implications of the international travel on the processing of the H-1B petition and the ability to return to the United States and commence H-1B employment. Set forth below are travel tips for a few common scenarios. H-1B Petition Pending for Beneficiary Located in the United States. The beneficiary of an H-1B cap petition with a “change of status” request should avoid international travel while the H-1B petition is pending in order to avoid abandoning the change of status portion of the request (which would automatically change the beneficiary’s current status to H-1B on October 1, 2018). If the beneficiary does travel abroad while the H-1B petition is pending, the H-1B petition may still be approved, but the change of status request will not be approved. As a result, in order to commence employment in H-1B status, the beneficiary would need another Form I-129 petition approved with a change of status after returning to the United States or would need to obtain an H-1B visa at a U.S. Consulate abroad before returning to the United States. H-1B Petition Approved for Beneficiary whose OPT Remains Valid. An F-1 student who is the beneficiary of an approved H-1B petition and who is in a valid period of Optional Practical Training (“OPT”), whether the initial 12-month grant or 24-month STEM extension, may travel abroad and return to the United States in F-1 status as long as the individual has the appropriate documents to do so and can show the required nonimmigrant intent and compliance with F-1 rules. The appropriate documents include a valid passport, a valid F-1 visa, a valid Employment Authorization Document or EAD, a Form I-20 endorsed for travel, and a letter from the individual’s employer verifying OPT employment. If the H-1B petition is approved with a change of status, the change of status will take effect on October 1, 2018 as long as the individual has returned to the United States before that day. If the individual has not returned to the United States before that day, the individual will be required to obtain an H-1B visa at a U.S. Consulate abroad before being able to return to the United States and commence employment in H-1B status. H-1B Petition Approved for Beneficiary whose OPT Has Expired. An F-1 student who is the beneficiary of an H-1B petition that was filed before the individual’s OPT expired may remain in the United States and work during the cap-gap period between the end of the individual’s OPT and October 1, 2018. However, if the individual travels abroad during the cap-gap period, the individual will not be permitted to return to the United States in F-1 status and will be required to obtain an H-1B visa at a U.S. Consulate abroad before being able to return to the United States and commence employment in H-1B status. H-1B Petition Approved for Beneficiary Located Abroad. Where the beneficiary of an approved H-1B cap petition is located abroad, the beneficiary will be required to obtain an H-1B visa at a U.S. Consulate before being able to travel to the United States and commence employment in H-1B status. A U.S. Consulate is authorized to issue an H-1B visa to a qualified applicant up to 90 days prior to the H-1B petition’s validity start date (i.e., October 1, 2018), and the applicant is authorized to be admitted to the United States up to 10 days prior to the H-1B petition’s validity start date. 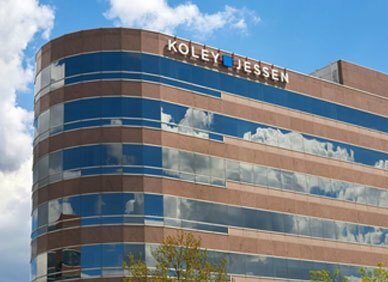 If you have questions about the H-1B program, please contact one of the immigration specialists in Koley Jessen’s Employment, Labor and Benefits Practice Group.